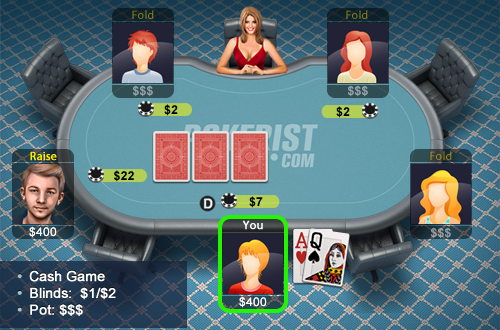 You’re playing a cash game, seated in dealer position. It is a 1/2 NL holdem game. You make a raise from the button with AQ off suit to $7 and get three bet by the small blind to$22. The small blind has been playing aggressive throughout the game and both your stack and his stack are at $400.